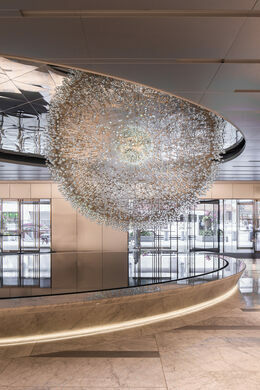 Lucent, the mesmerizing sculpture hanging in the lobby of Chicago’s John Hancock Building, certainly lives up to its name. 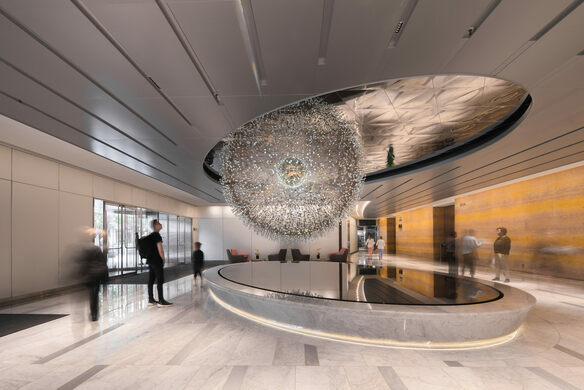 The title is derived from the Latin word “lucere,” meaning “to shine,” and the artwork’s 3,115 lights depict a scale map of the stars that shine in the night sky. 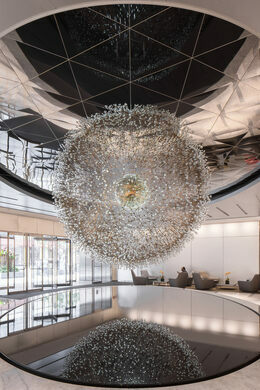 The 13-foot artwork contains thousands of glass bulbs, all fed light through blue illuminating fiber-optic lines. 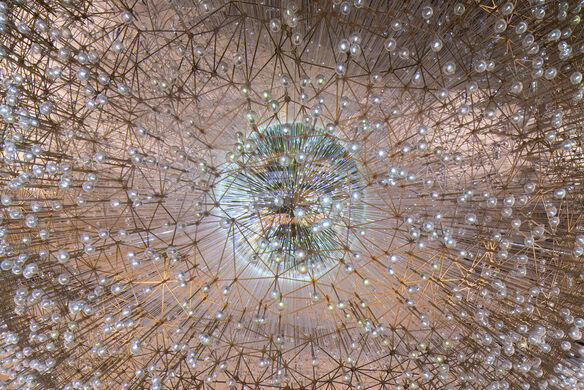 The sculpture, created by English artist Wolfgang Buttress with the help of astrophysicist Dr. Daniel Bayliss, represents a 3D map of all the stars in the Northern Hemisphere that are able visible with the naked eye. All of the piece’s glass bulbs were hand blown by artists at a local glass studio. 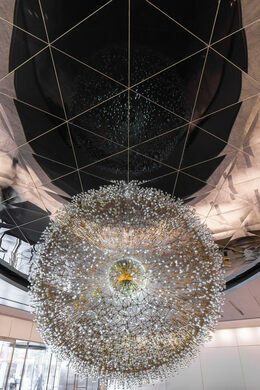 Each one of the more than 3,000 bulbs is amplified even more against a mirrored ceiling above and a reflecting pool below. The end result is a piece that seems to go on forever, light looping from sky to ground over and over again. In the groundfloor lobby of the John Hancock Center.